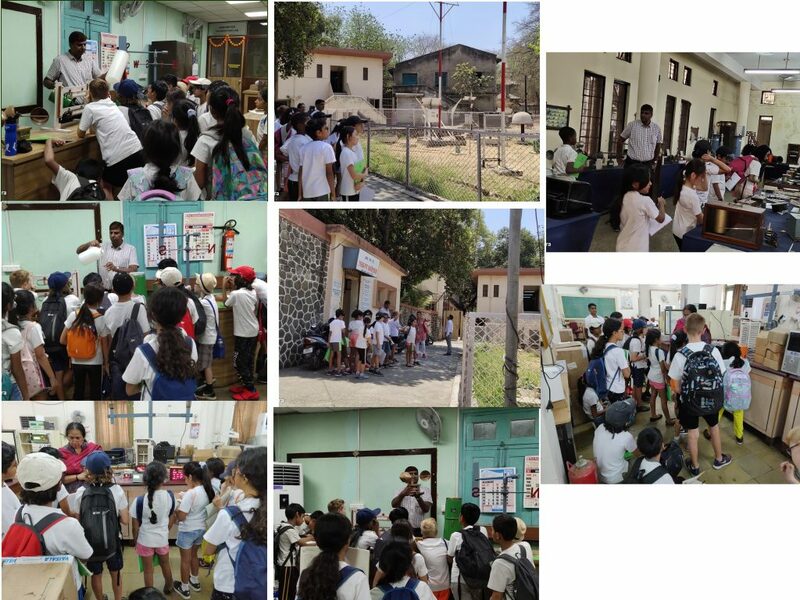 Hi there, today my fellow friends and I are going to tell you about the amazing field-trip we had to the Meteorological Department. We boarded the bus which took us about an hour to get there, but we still had enough time to have fun! In the bus we had delicious snacks and sang songs everyone loved (we hope everyone did, at least). 100 km-1 cm. We also found out that there are a short range and long range Seismograph. The short range can measure earthquakes all around India and the long range can detect earthquakes all around the world. Special heat sensitive paper on the machine which is coated with chemicals and an electric node is used to record the earthquakes. The next thing we did was looking at some other instruments, used for different things such as the Rain-Gauge, which is used for collecting and calculating how much rainfall was experienced on a particular day. There were even Rain-Gauge Graphs, which they use for noting down the rain forecast and changing the sheets everyday helps them write new rain gauge graphs. There were also many different types of Anemometers (Anemo means wind) which could calculate the wind speed and direction of the wind is going. 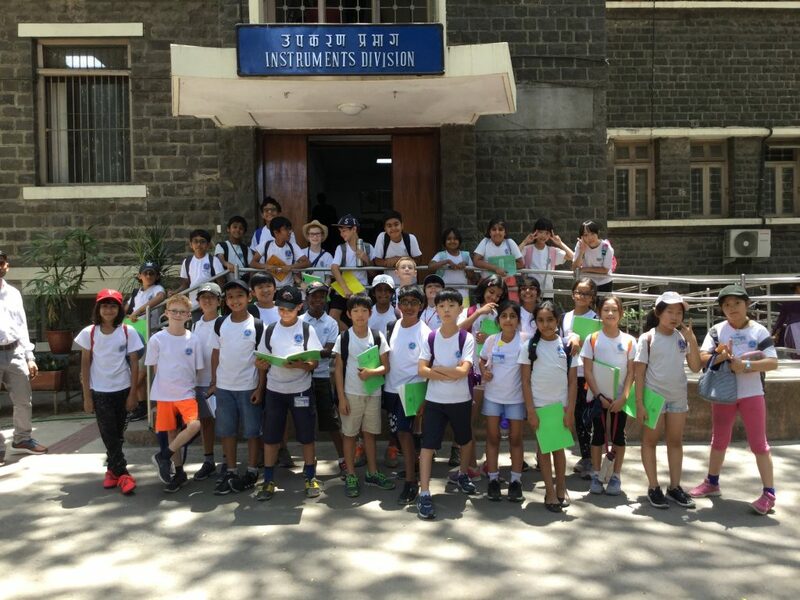 Finally, we’re going to tell you about the most interesting part (for the people who went there) which was the weather instrument museum, which is currently closed for the visitors but it was opened especially for us, the PYP 4 class. There were so many cool instruments in there, such as an extremely tall measuring tool that took information from a satellite in space and the people who work in the museum post it on their website to see. We could see all these things that were old, priceless and were not in use, so we realised we had to be extra careful with them in there. We also saw different kinds of thermometers with real mercury, different deep sea thermometers, soil thermometer, barometers, sunshine recorder, very old clocks, photoelectric anemometer etc. After some time of looking at these instruments, we had to head to school. The museum workers worked so hard to make this the best day ever for us and they succeeded. Even though we were sad to leave, we knew we had learned lots in the Meteorological Department and we could take our understandings further and learn more about our unit.